Zippered Jogger pant with left thigh embroidered logo. Available Youth 8, 10, 12, 14 or Adult XS - XXL. 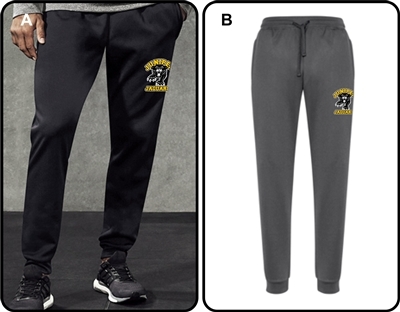 Zippered Jogger pant with left thigh embroidered logo. Available Youth 8, 10, 12, 14 or Adult XS - XXL. Available in Black or Grey.